This project was a collaboration between early childhood educators at Woodland Park preschool in Westport; Karen O’Brien, Mary Skillington, Joanna Kuruc, Kasia Rymarczyk, Bridgit McNamara, Ciara MacNally, Erszi Whyte and resident visual artist Lucy Hill. 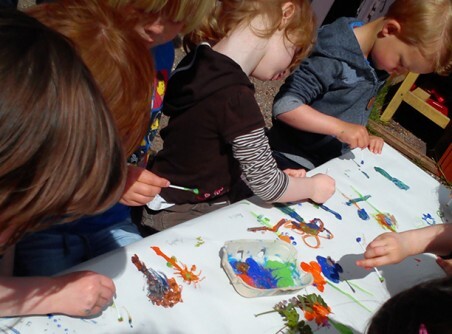 The collaboration between artist and early years setting began in 2007. The early years setting was located in a building that was previously a primary school and so had a large site with an excess of classrooms. 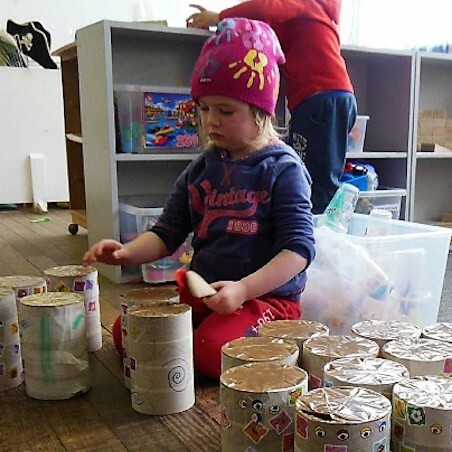 An arrangement was made to use one of the classrooms as a studio space in exchange for collaborating on visual art projects including creating temporary play environments for the children with materials sourced from the Creative Resource Centre. This particular documentation project grew out of many conversations. There was a strong desire to try to highlight the very many ephemeral moments at preschool where children display positive learning dispositions that could easily be invisible to adults or even understood as ‘mis-behaviour’. The project was grounded in the belief that very young children are competent, capable learners who demonstrate an explorative attitude as they ‘re/present’ their ideas, thoughts and feelings with multiple mediums. Much of the learning, discoveries, creativity and innovations of very young children happen in front of our eyes but need to be framed in understandable ways in order for adults to fully grasp the power and impact of what is unfolding. So for this project, there was no theme, no direction, no grand plan other than this question of how to capture children’s agency in the tiniest everyday moments that may be deeply impactful as an education tool for adults if framed in an understandable way and so the idea for a book document developed. The book would then provide a reflective tool for children where they could visit and revisit their creations in partnership with peers, educators and their parents. 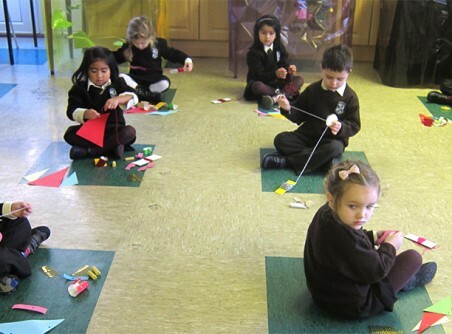 The children followed the everyday routines of work and play within the preschool day. During free play children made choices as they selected materials and explored the affordances of these materials. The artist and educators together captured many photographs, conversations and children’s everyday activities over several months. There were weekly meetings which explored children’s lines of enquiry and observed interests. These were followed with discussion on how the documentation was developing, what was being captured, what could be found through knowledge of individual children and the particular schema they may be working within. The relational foundation between educators and children was fundamental to revealing the value of the moments being captured where knowledge of individual children’s interests, personalities and competencies was crucial. The artist as documenter was able to take a ‘bird’s eye’ view of the everyday. The main headings within the document emerged slowly through the editing and discussion process. It felt important to allow sufficient time for the project and so it happened in a very unhurried way over several months. An exhibition was planned for Westport library in order to celebrate the children’s artwork and provide visibility of their learning to the wider community. Key competencies were highlighted and dispositions such as involvement, persistence, problem solving and creativity were exemplified through a display of poster pages. Artist: My personal experience of the project was an awareness of the delicacy and responsibility implicit in documenting young children’s work and play practices. At all costs we wanted to avoid moments that might frame children from an adult’s aesthetic or that could be seen as a promotional tool. The purpose was to try to get to the core of what was occurring for the children, often using the children’s voice. In the end, the photographs used were all taken by the educators themselves, and included the messiness of the working space, the un-staged every-day. I helped with the design of the document and putting it together but each of the educators also had full access to the editing process and there was much discussion around what should go where and there was no time deadline imposed. Mary took responsibility for the main body of text in the book and Joanna took responsibility for the exhibition design and layout. Educators: This project provided us with an opportunity to reflect on the learning which took place as children engaged with each other and the environment. Through observation we began to recognise the affordances the environment offered as children engaged with a wide variety of materials. Decisions about what to document was a challenge as there was an abundance of images and narratives collected. Long term collaborations between artists and educators are hugely useful, interesting and valuable scenarios from which children and adults equally stand to benefit and learn. Artist: This project had a significant impact on my practice. It has led to us collaborating on my current PhD project. Within the research, the focus on what is unfolding for the children can be accessed in a very privileged way, due to the trust and respect that has been established over the past ten years. I am very grateful for the continuous openness, generosity and opportunities to learn. Educator: The artist provided alternative perspectives on children’s creative and communicative potentials as we worked together to promote children’s developing ability to symbolically represent their ideas with clay, constructions, drawings, and paintings. The artist opened us up to the tools and the need to communicate children’s understandings through various media. As we collected and contemplated transcripts of children’s conversations and detailed renderings of their developing understandings, we also began to refine our own form of symbolic representation. Working with an artist prompted us to advocate for more reciprocal adult–child conversations. Over time, documentation became more integral to our practice, illustrating the principle that culturally constructed ways of life depend on “shared modes of discourse for negotiating differences in meaning and interpretation” (Bruner, 1990, p. 13). Lucy Hill completed an M.F.A at Winchester School of Art in Barcelona having previously studied painting at Crawford College of Art in Cork. 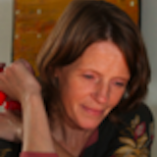 She has won several awards, public art commissions and exhibited in solo and selected group shows. She has been working with children through a wide variety of projects and organisations for fifteen years. She is in the second year of her practice led PhD at NCAD researching material engagement in early childhood. Central to our work is a powerful image of the child – strong, competent, and naturally curious about the world and capable of constructing their own learning. Relationships are valued with children, teachers and parents seen as being equally important. There is much emphasis placed on developing children’s creativity and the importance of the environment to facilitate this. In 2007 Karen O’Brien and Mary Skillington opened Woodland Park Preschool in Westport, Co. Mayo. Karen holds a Higher Diploma in Early Childhood Care and Education from IT Carlow, and an ordinary degree in Early Childhood Care and Education from DIT. 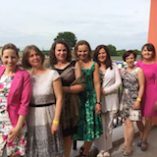 She has twenty years’ experience in the sector, ranging from working in Department of Education preschools and Eastern Health Board day nurseries in disadvantaged areas of Dublin, to running a crèche in Mayo for traveller children, and from nannying to being a registered and notified childminder in her own home. Mary has worked as an early years educator for twenty years and has worked in a wide variety of early years setting in England and Ireland. She has worked with Early Childhood Ireland and a trainer and with Better Start as a quality specialist for early years services where she mentored educators in services. She currently works as a lecturer in GMIT on the BA in Early Childhood Education and Care. The project outcome is a book, which is available to view at this link. Capturing children's key competences through documentation. Much of the learning, discoveries, creativity and innovations of very young children happen in front of our eyes but need to be framed in understandable ways in order for adults to fully grasp the power and impact of what is unfolding. An early-years collaboration exploring the integration of visual print media into Aistear and Siolta.